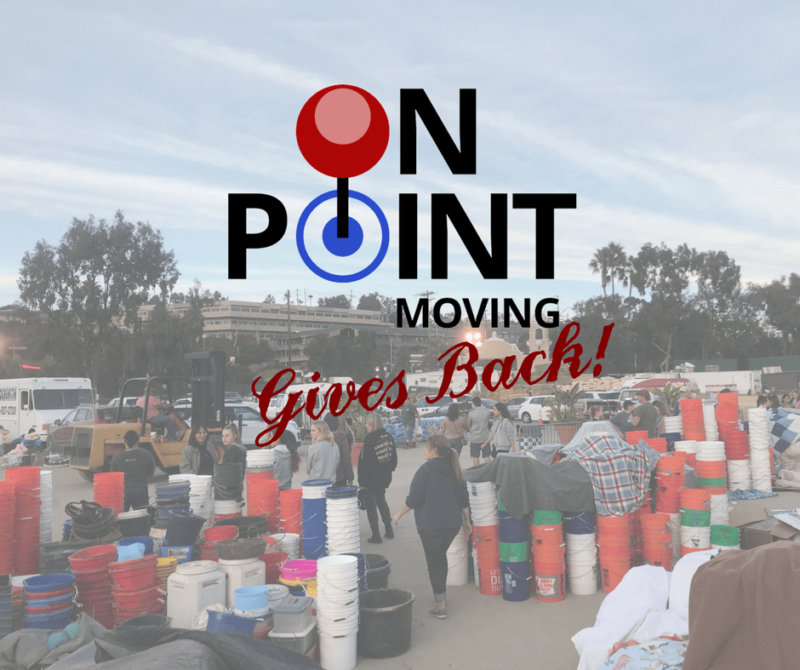 At On Point Moving we believe that we all have the opportunity to make a difference in our community. “If you have the ability, you have the responsibility” is what our team lives by. With so many natural and manmade disasters this year, it’s important to us to be there for our community, especially during the holiday season. Our new Giving Back page will keep you updated on how we’re giving back to the community and provide information on how you can help! The Lilac and Thomas fires in Southern California have destroyed thousands of acres and have damaged and destroyed homes, displacing families throughout the area. The support and outreach to help victims in the San Diego community has been incredible. On Point owner, Clay volunteered at the Del Mar Fairgrounds and helped unload supplies that had been donated to evacuated horses. Fire victims still need help as fires near Santa Barbara keep blazing. Here’s how you can help. As a veteran owned and operated business, we have a special connection to helping local veterans get the resources they need and feel supported in the San Diego community. On Point supports the Veterans News Network, which helps local Veterans of Foreign Wars (VFW) centers, providing resources to veterans living with PTSD. We also work with Vet’s Community Connection, who helps us connect with veterans to provide one free move a month to a veteran in need. The veteran community is so close to our hearts at On Point Moving. But we don’t stop there! 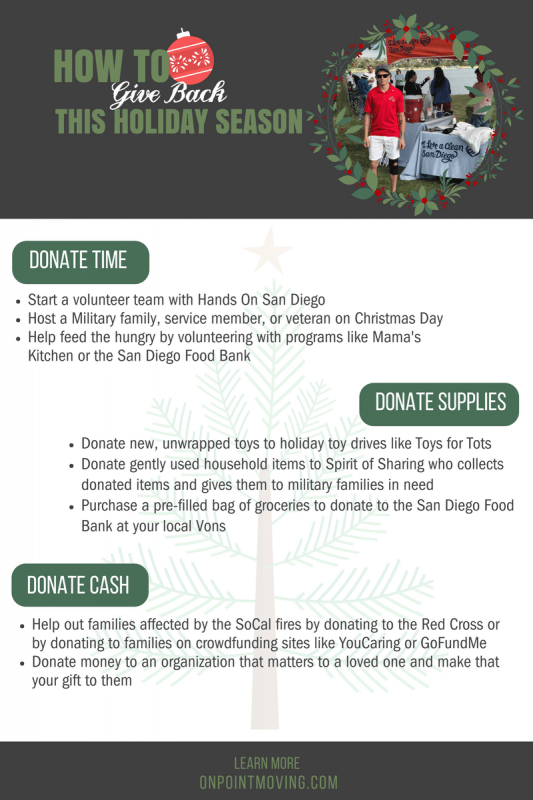 We have organized a team with Hands On San Diego which benefits a variety of non-profits around San Diego County. Creating a team is easy, and a great opportunity for staff team building! Choose a cause that is important to your team and get out there and support your community! Connect with an organization that means something to you, and get out there!